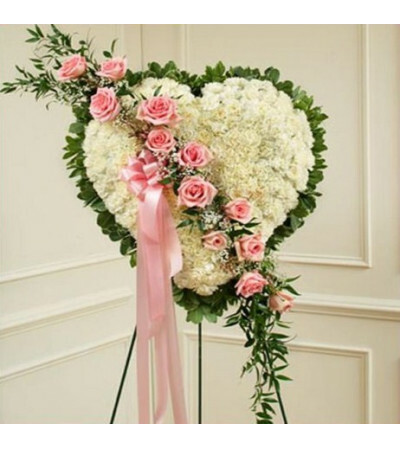 Honor a loved one with this standing heart-shaped arrangement that celebrates someone dear. 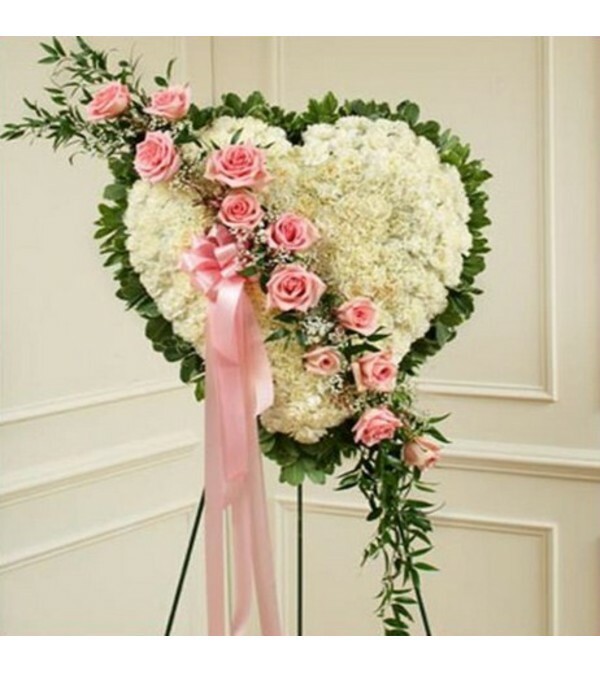 White carnations create a solid heart that is accented with a pink rose break. It will be a loving and lasting tribute to a very special person.